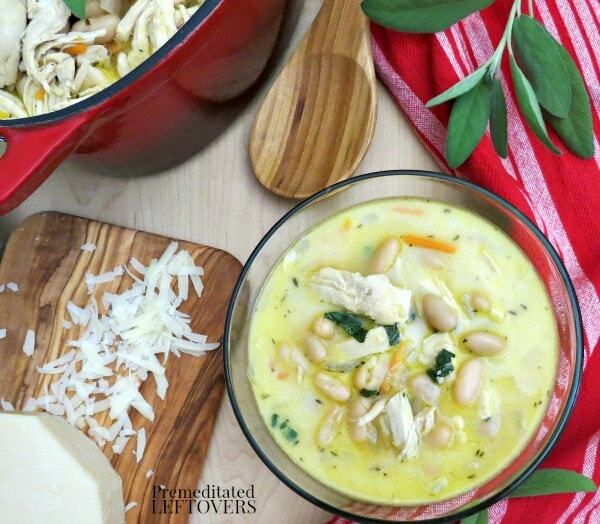 I have a Tuscan White Beans and Acorn Squash Soup in my cookbook Prep-Ahead Meals from Scratch. 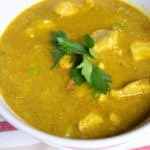 It is a hearty meatless soup recipe and as the squash breaks down a bit, it thickens the broth. But the acorn squash growing in our garden have not ripened yet, so I made this Tuscan soup recipe with shredded chicken instead of squash. Since it uses chicken instead of squash, the broth tends to remain thin, so we add half & half to thicken the broth and make a creamy base for the soup. Best Batch-Cooking Method: Use the Slow Cooker, Pressure Cooker, or Roasting techniques on pages 12- 13 of Prep-Ahead Meals from Scratch to make shredded chicken. 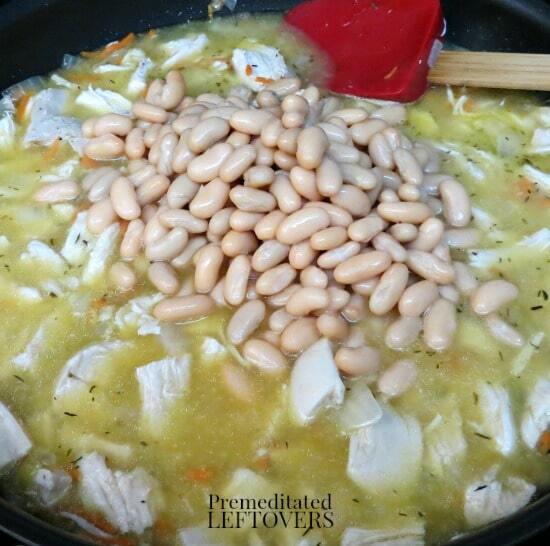 Use ANY method for batch cooking beans on pages 114 – 115 to cook the cannellini beans. 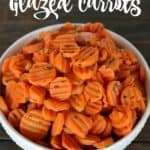 You can find videos demonstrating some of the batch cooking techniques here. You will also find 3 different ways to make chicken broth on page 191. Prep-Ahead Tip: You can dice the onion, shred the carrots, and prep the spinach 2 to 3 days ahead of time and store them in sealed containers in the refrigerator. 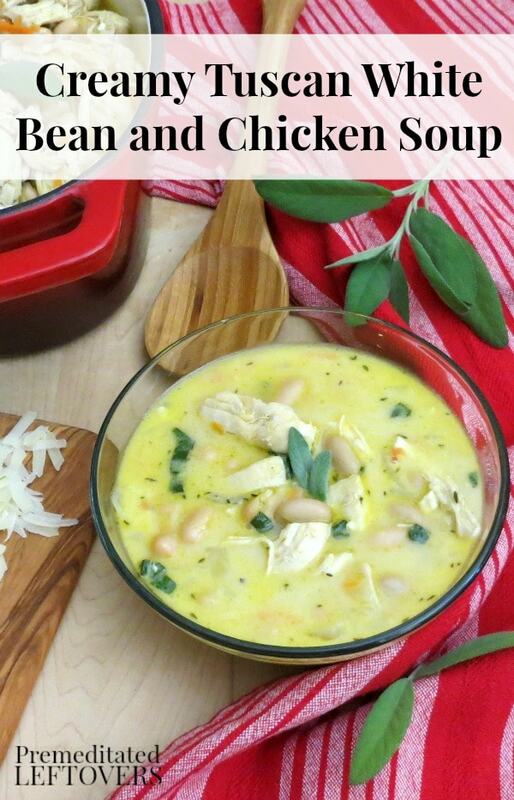 Make-Ahead Tip: You can make this soup in advance and store it in a sealed container in the refrigerator for up to 3 days or the freezer for up to 3 months. The broth may seperate a bit when it is first thawed, but just stir it as you reheat it and it will blend together again. 1. In a large pot, heat the olive oil and sauté the onion until translucent, about 4-5 minutes. 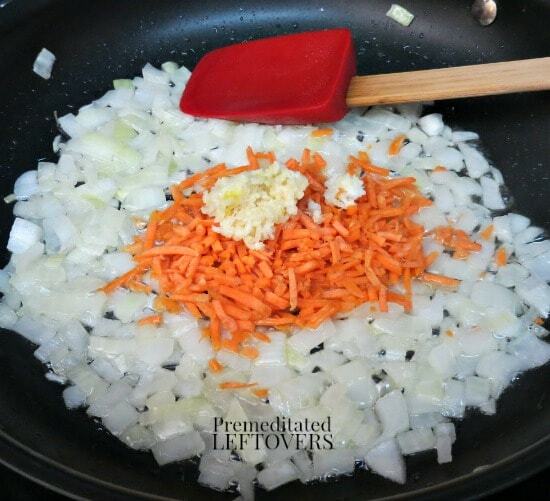 Add the carrot and garlic and cook a minute longer. 2. Add the chicken, broth, beans, spices, salt, and pepper. Bring to a boil, then lower flame and simmer over a medium-low heat for 15 minutes. 3. Add the half & half and spinach. Stir to combine. Cook until spinach just begins to wilt, approximately 2 minutes. 4. Serve with freshly grated Parmesan and garnish with fresh sage leaves. In a large pot, heat the olive oil and sauté the onion until translucent, about 4-5 minutes. Add the carrot and garlic and cook a minute longer. Add the chicken, broth, beans, spices, salt, and pepper. Bring to a boil, then lower flame and simmer over a medium-low heat for 15 minutes. Add the half & half and spinach. Stir to combine. Cook until spinach just begins to wilt, approximately 2 minutes. Serve with freshly grated Parmesan and garnish with fresh sage leaves. This looks great, but I’m confused. The directions say “Add the half & half and spinach. Stir to combine. 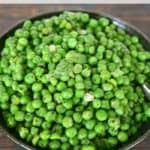 Cook until spinach just begins to wilt, approximately 2 minutes.”, but I don’t see spinach anywhere in the ingredient list. Does this recipe call for it? If so, how much? Thanks! It was in the top ingredient list, but for some reason was left out of the printable recipe. I just added it. It is 1 cup of spinach leaves, thinly sliced.